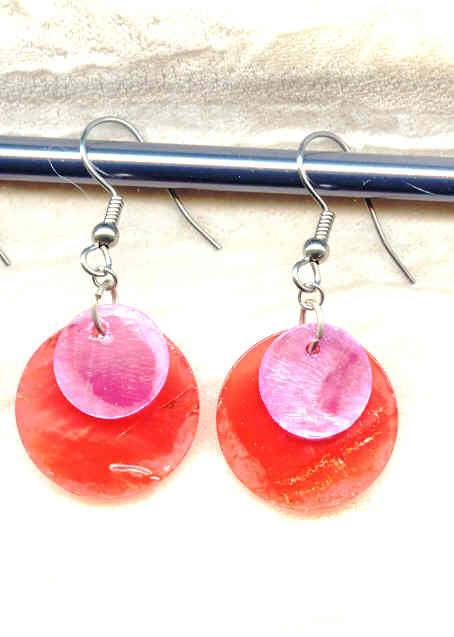 Beautiful translucent capiz shell takes and holds dye in the most fabulous of summer colors. Together with their surgical steel French hooks the summer earrings are still nearly weightless. Overall these hot weather charmers dangle 1-5/8" from the tops of their earring findings. They're another pair of lightweight summer earrings from SPARKLE PLENTY.